If you are a lover of clean, natural, environmentally friendly beauty, I have no doubt you will already be a fan of Jane Iredale products. This spray isn't a new product, it has been re-formulated and re-packaged and has proudly been awarded ECOCERT’s Natural and Organic certification! 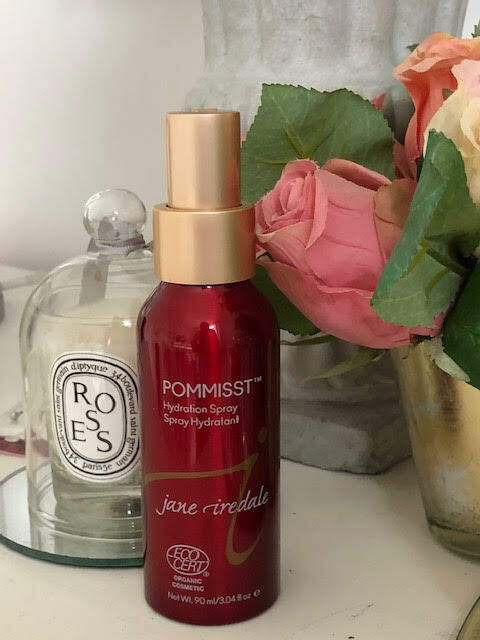 As hinted at in the name the spray contains Pomegranate extract which is known for it's anti-inflammatory and antioxidant properties, soothing the skin while at the same time delivering full on antioxidants. Designed as a finishing spray for mineral make up the spray is super fine mist that won't leave your skin wet or disrupt you carefully applied makeup, used as a hydrating boost, it can be used on bare skin, which I have to say is my favourite use of this product, for an instant wake up spritz throughout the day. 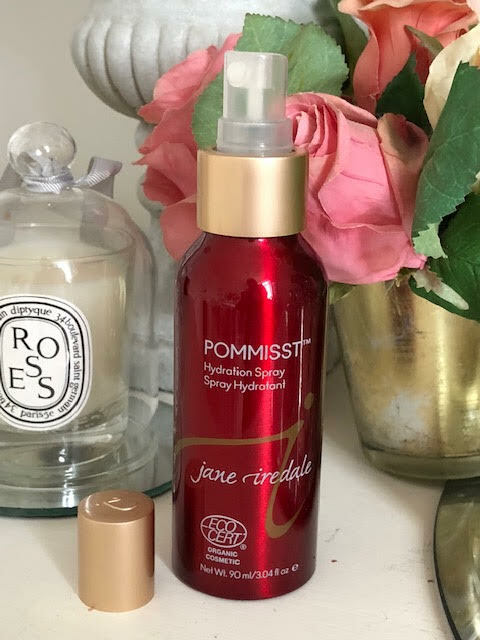 When I am working at home I often go bare faces and have this spray sitting on my desk, for a quick pick me up throughout the day, It really is refreshing but not in a wet drippy way. When used over mineral makeup I found it best to keep the spray at an 8-10 inch distance and lightly mist.The fragrance is clean and refreshing, not at all overpowering and superb at giving you a feeling of hydration along with relaxation. Another added benefit to pomegranate extract is its ability to fight free radical production caused by sun exposure, and we all seem to be suffering with that, as much as why try there will be days when we forget SPF! Jane Iredale is an animal friendly skincare and makeup brand. Certified cruelty-free by both PETA and the Leaping Bunny Program.